Looking to charter private planes to Atlanta? Need to find good reliable aircraft charter services that fly to DeKalb-Peachtree Airport (PDK) or Atlanta International Airport (ATL)? Charter Flight Group has business jets standing by and ready with a few hours notice for your next private flight. We offer business jets and smaller planes for on-call private flights. Why bother with long airport lines when CFG can have you flying in or out of Atlanta or DeKalb Peachtree Airport on a private plane tomorrow? Charter Flight Group’s aircraft services provide everything from quick hops on your own aboard Beechcraft King Air 100s to taking the entire team on a Challenger 600. If Hawker business jets are more your style, the 900XP up to the latest Hawker 4000 are available. For long hauls from Atlanta to Europe, we have Lineage heavy business jets or you can fly private planes such as the Global Express. Our aircraft fleet offers everything from Learjets to Gulfstreams and Airbuses for your flights to or from Atlanta. With an array of business jets at your fingertips, CFG provides the right private aircraft for your next business or pleasure trip. Atlanta International Airport provides aircraft charter services and is only seven miles south of the central Atlanta business district. Further north, if you need more privacy, you might want to fly into DeKalb-Peachtree Airport which doesn’t allow commercial aircraft. It also offers an array of aircraft charter services and is located in Chamblee on the old Camp Gordon WWI Army Training Base in the northeastern section of DeKalb County. When booking your jet flight in and out of PDK, you can be within 15 minutes of business destinations in the Buckhead or MidTown districts. When you book your private flight, all your needs will be handled quickly and flawlessly by our aircraft flying consultants. From the moment you call to book your flight on our business jets until your private plane arrives in Atlanta, every detail, large or small, will be handled with care and professional courtesy. Charter Flight Group handles every customer with the utmost in discretion and security and we provide the most experienced aircraft charter flight crews in the business. At Charter Flight Group, our business jets are serviced at the highest possible levels for charter private planes. Your safety and comfort is always our main concern and we exceed all the FAA standard regulations for private flights. 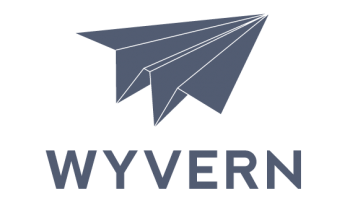 In addition, all private planes are audited for safety by ARGUS and WYVERN, leaders in third-party safety audits. All of our charter private planes and business jets are held to the highest safety standards. 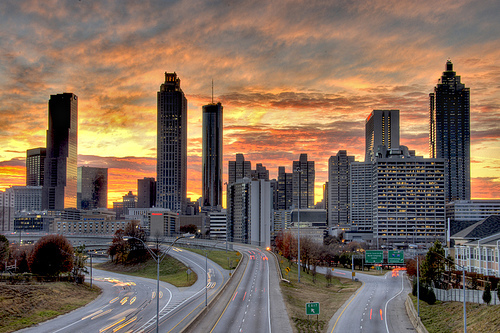 Atlanta is a fascinating city whether you are flying for business or pleasure. No matter your reason for using Charter Flight Group charter private planes, you are bound to enjoy this modern bustling southern city. 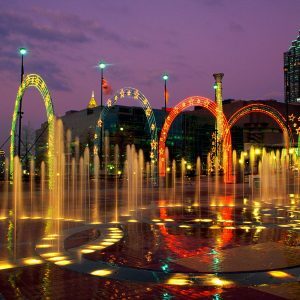 Take in a Braves game at Turner Field or enjoy some of the world’s foremost acting talent at the Alliance Theatre; there is a little bit of something for everyone in Atlanta. When choosing your next trip in our business jets, be sure not to miss Atlanta’s food. Atlanta has everything from home-style fried chicken, amazing southern specialties like soul food to make your mouth water, to the most sophisticated cuisine. Design is world-renowned while the Atlantic Symphony Orchestra’s Grammy Award winning performances are always a hit. For natural beauty, you can’t beat Atlanta’s Stone Mountain Park where you can hike amongst the treetops or play among the geysers. And, even if your stop in Atlanta is a short turnaround in one of our private jets, don’t forget the nightlife in a city where you can hear blues in places like the legendary Blind Willie’s. But Atlanta offers more than just blues; clubs focus on everything from hip-hop and jazz to country and gospel. Atlanta is a city that loves to party, so why not grab a private flight and join in the fun! Why Choose Charter Flight Group for your Private jet to Atlanta? When it comes to taking care of business, your business, Charter Flight Group has private flights to fill every need. Our selection of business jets is beyond compare. With 30 years of providing charter private planes to corporate and individual clients, we know the demands of the aircraft charter services business. With private flights taking off from any airport you can name and business jets from small prop planes to airliners that can carry entire companies, Charter Flight Group can get you there in style, on time and in the business jet of your choice every time.